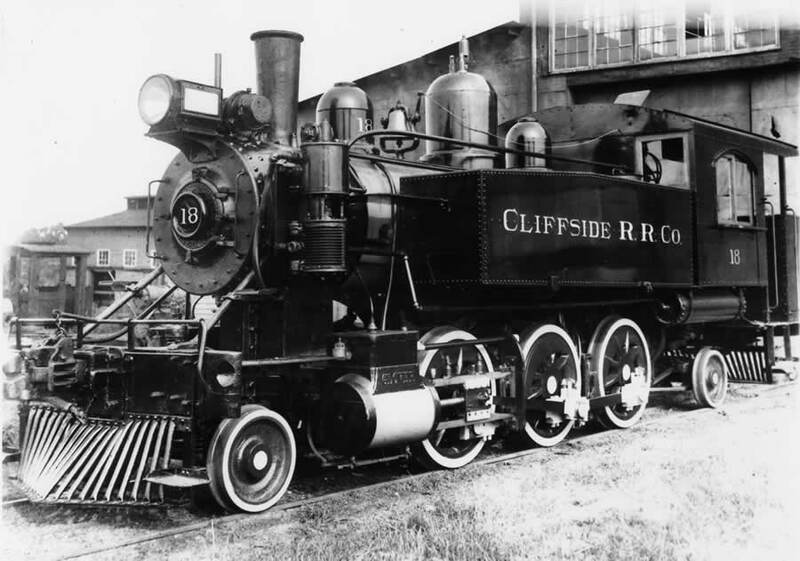 The Cliffside Railroad was noted for the variety of its motive power during the course of its corporate history. The first three locomotives on the line were secondhand 15-ton Forney locomotives in a 0-4-4 wheel configuration. The locomotives had previously served on the elevated railroads of New York City. 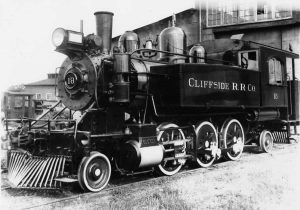 The Cliffside also purchased two Glover Machine locomotives—one was a used locomotive, and the second was purchased new. The used locomotive was a 2-6-0 Mogul originally built for the West Bay Naval Stores and Lumber Company, then sold to the Southeastern Iron & Equipment Company, where it was purchased by the Cliffside Railroad in 1922. A year later, the Cliffside Railroad went shopping for a secondhand locomotive but ended up purchasing a new Glover 2-6-2 side tank engine. The locomotive was one of the larger models which Glover produced during its locomotive construction period. 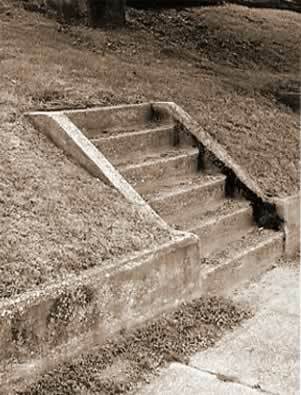 The coal bunker could carry 1,500 pounds of fuel, and the two side-mounted tanks could carry 1,200 gallons of water. The locomotive was designated #18 and had a purchase price of $10,000. A year after the locomotive was delivered in 1923, Glover Machine Works received a disturbing letter from R. R. Haynes, president of the Cliffside Railroad. In the letter, Haynes said the locomotive had failed to live up to its marketing promises and that the Cliffside Railroad was very disappointed in its performance. After much correspondence between Glover Machine Works in Marietta, Georgia, and Cliffside Railroad in North Carolina, Glover decided to send a mechanical engineer to the Cliffside Railroad to inspect the locomotive. Upon arrival, the Glover mechanic discovered the Cliffside Railroad mechanics had drilled a larger hole on the steam dome to facilitate the mounting of a larger whistle. The filings from the drilling had fallen into the throttle linkage and had prevented the engineer from being able to completely open or close the throttle. The Cliffside mechanics could not find the problem, and the locomotive engineers worsened the problem by the method they used to halt the locomotive. Since they could not fully stop the locomotive by closing the throttle, the engineers would throw the engine into reverse, momentarily halting the locomotive. At this split second of halting, the engineer would lock down the brakes. After performing this maneuver hundreds of times, the entire linkage had become stretched. A battle soon ensued between the Glover Machine Works and the Cliffside Railroad over who should pay for the inspection trip and the salary of the mechanic while on Cliffside’s property. Correspondence continued between both parties, but the bill went unpaid but hotly contested. The issue was finally settled when the Cliffside Railroad needed spare parts for the #18 and found the Glover Machine Works to be the only source for the parts. With the new order for the spare parts also came payment for the inspection trip a year before. From A History of Railroading in Western North Carolina, by Carey Poole, published 1995 by Overmountain Press, Johnson City, TN. Used with permission. This article first appeared in the Winter 2011 issue of the Cliffside Chimes, official newsletter of the Cliffside Historical Society.